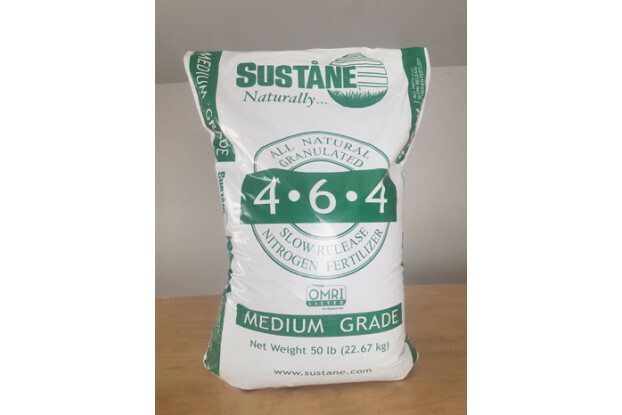 Suståne 4-6-4 is a natural organic, slow-release, starter fertilizer which replenishes soils with a rich supply of humus (stabilized organic matter) and the essential nutrients required for sound and long-term fertility programs. Suståne 4-6-4 provides a combination of slow release nutrients and organic substances. 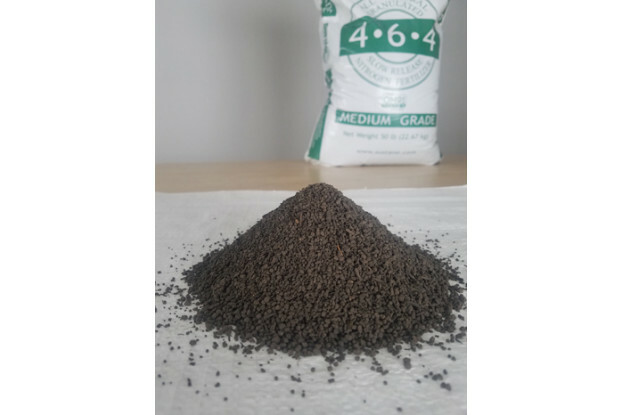 Derived from biologically stable compost plus natural potash and feathermeal. Suståne 4-6-4 accelerates turf establishment. A complete package containing slow release nitrogen, chelated micronutrients, organic phosphorus and humic substances. Suståne 4-6-4 has been demonstrated time and again to surpass synthetic turf starter fertilizers and other sources of humates and plant biostimulants. Professional landscapers have increasingly turned to Suståne 4-6-4 for use on high maintenance turf and landscaped environments. While synthetic fertilizers supply plant growth nutrients, they do not supply the organic matter required to maintain quality growth. Using fully composted natural fertilizers increases the levels of beneficial microbial activity, which in turn convert nutrients into plant-available forms. Suståne 4-6-4 is also an excellent alternative to concerns over traditional lawn fertilizers being key contributors to surface and groundwater pollution. Not over-fertilizing your lawn and sweeping up excess fertilizer from sidewalks and driveways can help prevent ground and surface water pollution. A slow-release natural organic fertilizer such as Suståne 4-6-4, applied at the suggested rate of application, will not lead to groundwater pollution problems. Before Seeding. Broadcast and incorporate into top 4” of soil. Flower & Shrub Beds. For preparing beds before planting.